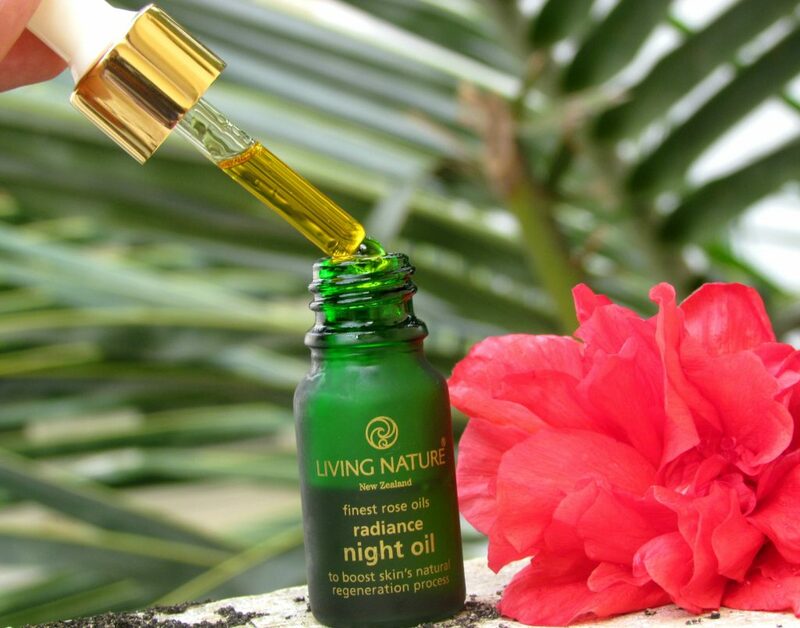 I was super excited to try this Living Nature Radiance Night Oil. 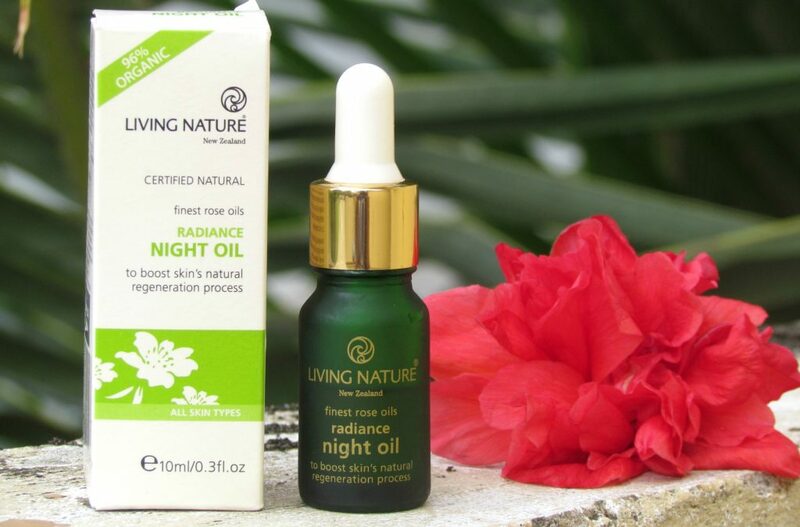 Living Nature is a botanical skincare brand from New Zealand and all of its products are made from the native plants there and uses only 100% natural ingredients. 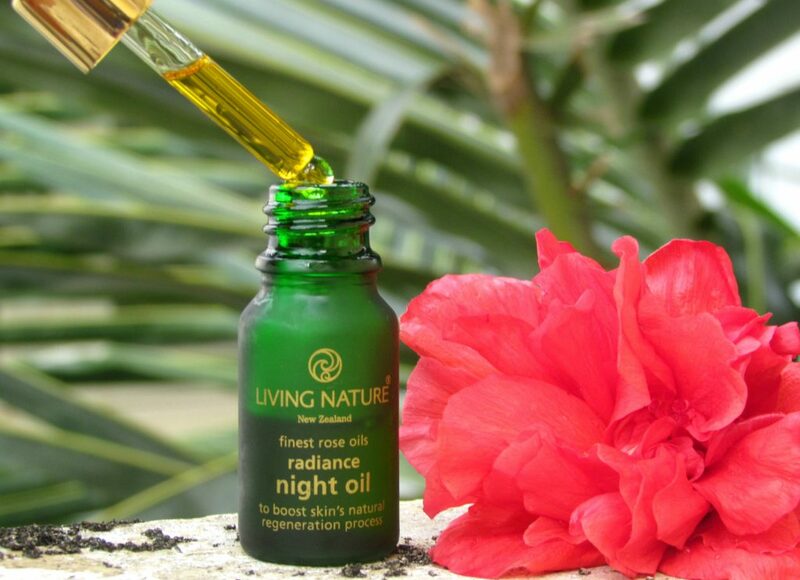 Living Nature Radiance Night Oil is a powerful blend of Rose, Rosehip, Calendula, Jojoba, Frankincense and Carrot oils. I would say, “a powerful skin cocktail” for overnight treatment of your face and neck. f you are a regular reader of my blog, You will know, How much I love pure and natural facial oils for my daily skincare regime. I have a sensitive skin and which is why I completely switch to natural and chemical free skin care products. With Rose Oil to naturally stimulate your skin’s own collagen production, Organic Rosehip Oil to aid cell regeneration and repair damaged skin tissue, Organic Calendula to soothe and calm and Organic Jojoba Oil to nourish. 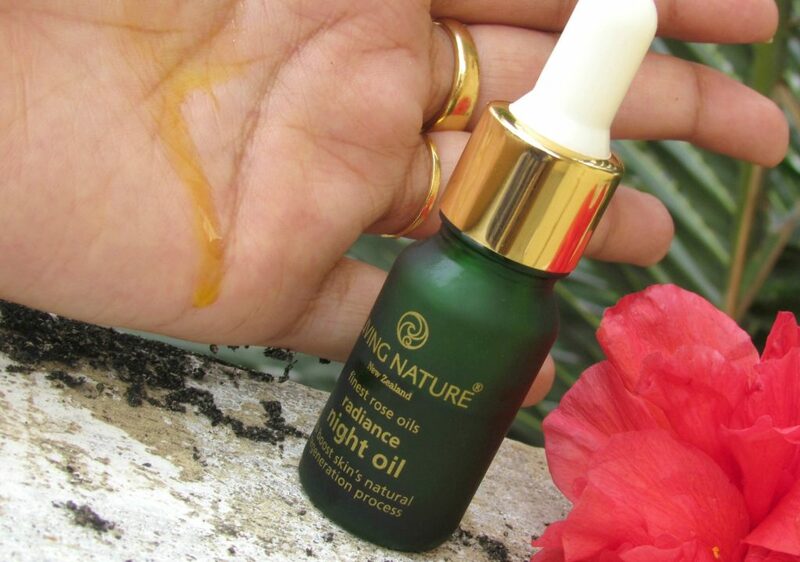 Radiance Night Oil is 96% organic – your natural anti-ageing gem and our beauty sleep secret. This oil can be used by all skin types. A comment that I always get asked about is how do I sleep with facial oils on my face. Now, That’s a tricky question when you think – someone is slathering oil all over the face and going to bed. 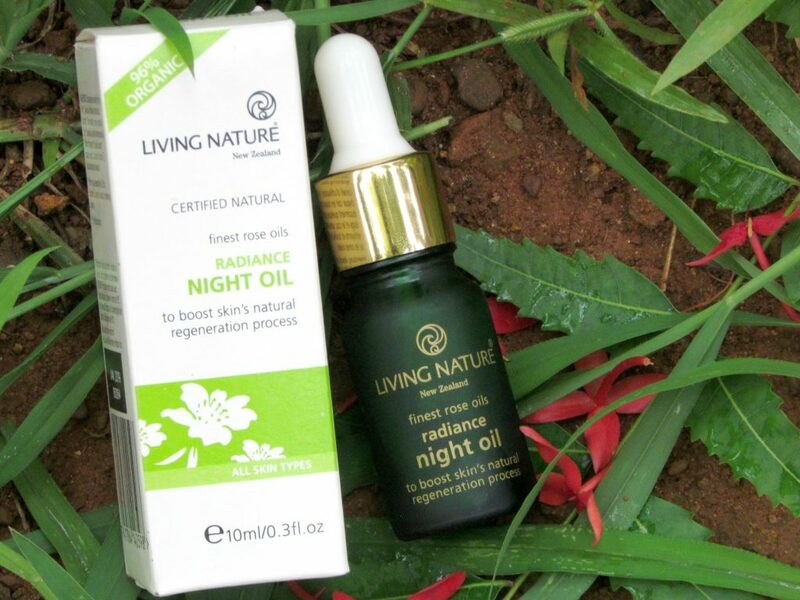 But, This facial oil from living nature blends instantly onto your skin. Packaging & Price : NZD $69.00 ; Packaging is super pretty. It is packaged in a dropper bottle so you can dispense the product with control. The green glass bottle is super cute. Each evening gently smooth a few drops over your face and neck, after cleansing and toning, especially on areas of concern. 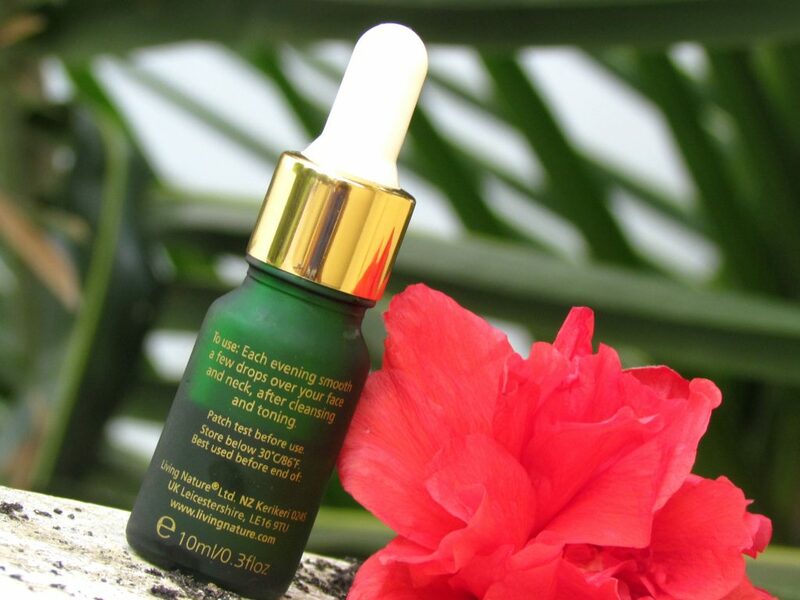 Add a drop to your Nourishing Night Cream or Balancing Night Gel for a rejuvenating boost. 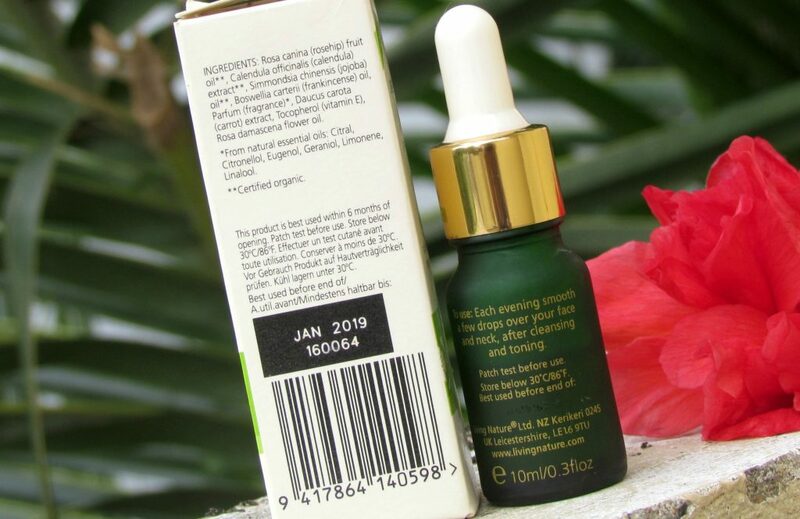 Rosa canina (rosehip) fruit oil**, Calendula officinalis (calendula) extract**, Simmondsia chinensis (jojoba) oil**, Boswellia carterii (frankincense) oil, Parfum (fragrance)*, Daucus carota (carrot) extract, Tocopherol (vitamin E), Rosa damascena flower oil. It gets absorbed by the skin instantly and the smell is so luxurious, I love how soothing it is. It helps lightens the acne leftover scars and help keep your skin problem free. My skin feels fresh and hydrated without looking excessively oily. This is how I use it for my skincare routine every night. 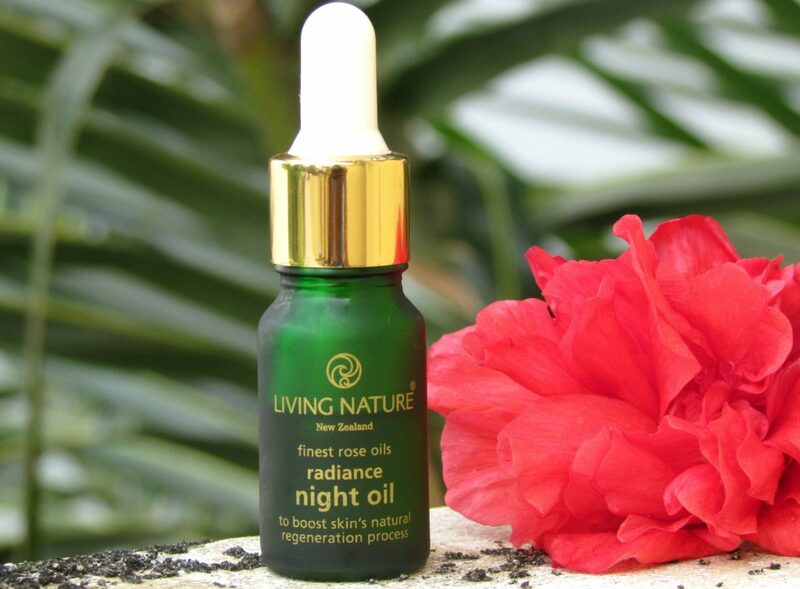 This night oil is highly concentrated, easy to use (only few drops required), absorbs instantly without any greasiness and delivers visible results. It’s hero ingredients include rose oil, rosehip oil, carrot oil and calendula, this oil is best overnight treatment for a healthy skin. it has an uplifting aroma that really calm your senses and it fades acne spots and marks and keep your skin radiant and healthy. It’s a delicate blend of rejuvenating Rose and Rosehip oils plus soothing Calendula and nutritious Frankincense, Carrot and Jojoba Oils. Created to retain and restore youthful skin vitality. Highly Recommend this!! I can’t get enough of this. it’s the best Night facial oil ever! if you ask me Kiehl’s midnight recovery or this one- My vote definitely goes to Living Nature Radiance Night Oil. It’s a must repurchase product for me. Your best beauty sleep secret !